This Lacey 5 light chandelier offers beautiful contrast and the melting charm of olde world style with clean modern-day materials. 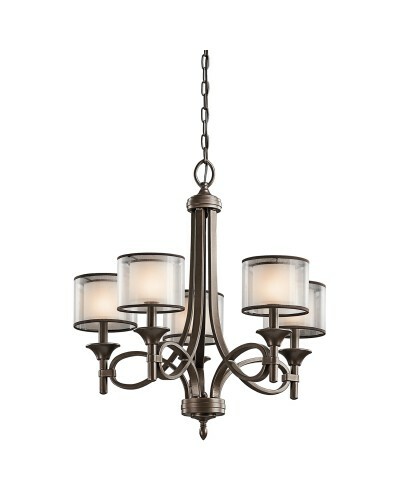 This chandelier features a bold, unadorned round-arm styling which gives this chandelier graceful lines and a classic look. 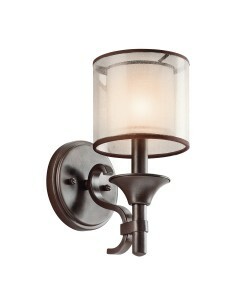 The Mission Bronze finish adds to this refined style and compliments the Avant-Garde double shades which are made of decorative mesh screens and opal inner glass. 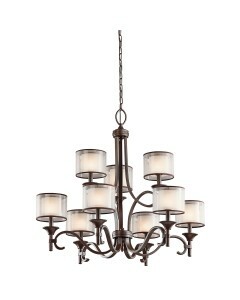 This chandelier will look stately in any room it is placed in. 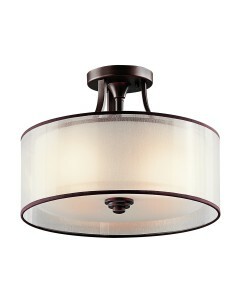 This chandelier has a width of 635mm and a height of 654mm. It also comes supplied with 1829mm of chain, which can be shortened if required on installation to suit many ceiling heights. 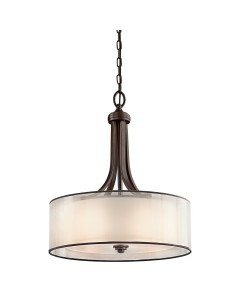 This chandelier is designed in the U.S.A by Kichler, founded in Cleveland, Ohio in 1938. L.D. Kichler & Co. is a family run company held in high regard by their customers for their diversity of design and breadth of range, which includes some truly striking and often substantial pieces. Style to live by.